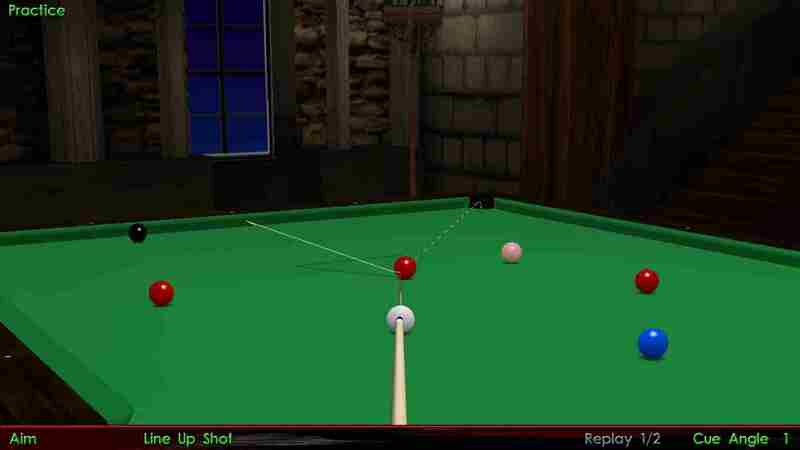 Natural forward roll in the cue ball will cause it to roll forward, at a maximum angle of 30 degrees, for a half ball hit. This angle will decrease when the cutting angle is decreased as well as when it is increased. 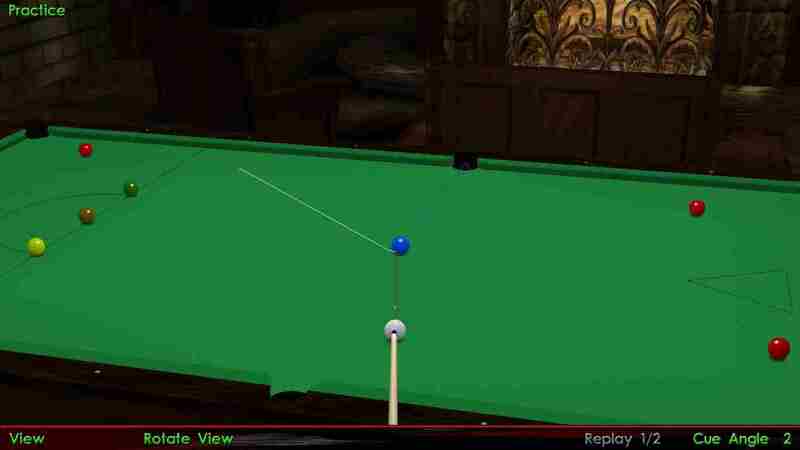 I think you can safely assume that the angles the cue ball makes when it is rolling and when OB is contacted anywhere between 3/4th ball to 1/4th ball, it will deflect at an angle of around 30 degrees. 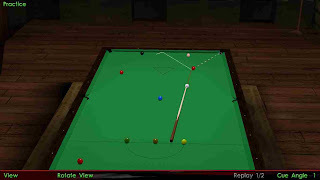 If you extend the line between CB and OB, the angle formed between that line and the path the cue ball takes will be roughly equal to 30 degrees. Another shot, using just natural roll to make good call for the black or pink. Check out the following link for further information. The site describes the 30 degree range for angles between a fairly thick and fairly thin, you can try all the combinations on a real table to learn more. The only thing you would have to take into account is the part of the ball which is cut as you can see in the pictures on the above link, and as I have explained below using some basic knowledge of mathematics. The deflected angle would be greatest for a half ball hit. 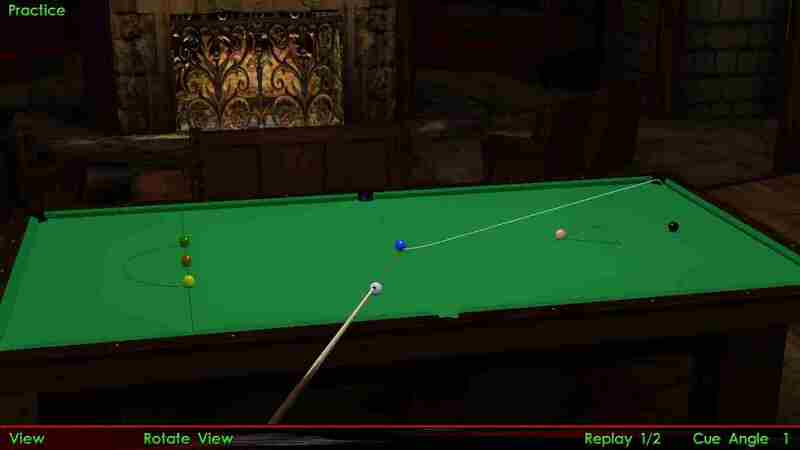 If you try to pot a half ball blue in the center, with natural follow, or natural forward roll whatever you like to call it, and with a speed which doesn’t change the natural path of the cue ball, then the cue ball will go in off in one of the corner pockets. Look at the following image. An in-off in the corner pocket. I will try to explain all this using a little bit of mathematics. Consider an angle x = 30 degrees, and an offset variable o. This offset variable is dependent on how thick or thin a curve is. The value of o is maximum for a half ball hit, and it decreases when you cut thinner as well as when you cut thicker. In both cases, there will be a time when the offset will become very less. Note that this is for hits between 1/4th ball to 3/4th ball. rail, and finally into the center pocket. 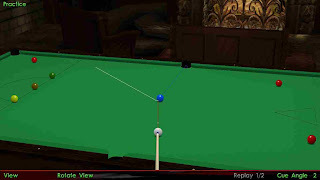 PS: For a thin cut, the cue ball will always travel a lot, and leave at very less angles, so it advisable to not get into that situation at all. 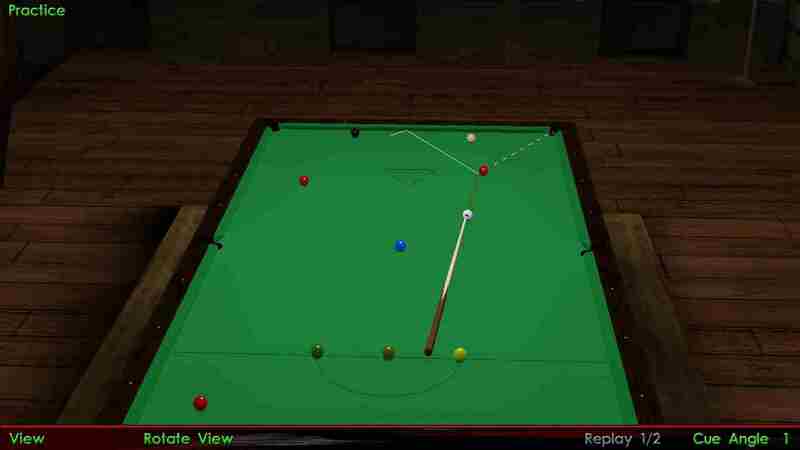 For a shot thicker than a 3/4th ball hit, the cue ball will travel very close to the object ball path. It all depends on how thick the cut is. In both cases, thick and thin, the angle will be less than 30 degrees.